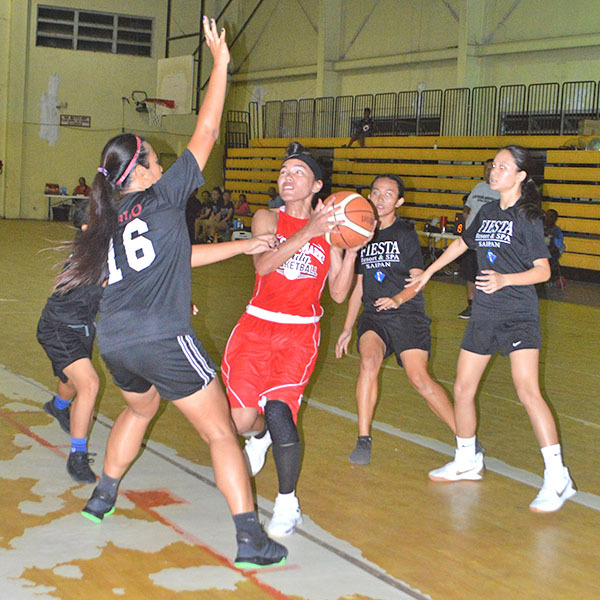 The Ol’Aces stayed in contention for the women’s division title after defeating Fiesta Resort & Spa Saipan, 50-39, in Game 2 of their finals series in the 2018 MIBF Island-wide Basketball League last Wednesday at the Gilbert C. Ada Gymnasium. With the best-of-three championship series tied, 1-1, the Ol’Aces and Fiesta Resort will play in a rubber match tonight at 6:30pm with the former having the slight psychological edge after earning a double-digit win in Game 2. Fiesta Resort pulled off a 54-52 victory in overtime in the series opener last Monday. The Ol’Aces took early control of the match just like what they did in Game 1 and this time remained in the driver’s seat and even pulled away in the third quarter en route to an 11-point victory. The John Santos-coached Ol’Aces turned a 20-13 halftime edge to a 38-19 advantage in the third quarter, as Eleina Santos and Alliyah Fernandez worked together to boost their team’s chances to extend the series. Fernandez scored 6 straight points in the opening minutes of the pivotal period and added another bucket late in that canto, making up for her 2-point output in the entire second half and overtime in their Game 1 loss. Eleina, who sizzled for 30 markers in the series opener, added 6 in the third canto, including the Ol’Aces’ last 4 markers in that frame. 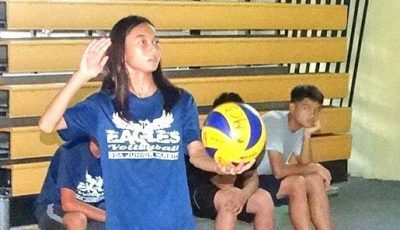 She kept going in the fourth canto and again teamed up with Fernandez in delivering the killer blows for the Ol’Aces and foiling Fiesta Resort’s bid for a sweep. Fernandez finished with a game-high 17 points—7 more than her production in Game 1. Eleina added 15, while her sister Annalei chipped in 10, 6 came in the first canto where the burly center outgunned the entire Fiesta Resort crew. Fiesta Resort, which played for the second straight game without main gunner Irish Pagarao, was held to 5 points in the opening quarter and never got its rhythm, failing to close out the short series early. No Fiesta Resort player scored in twin digits, as Nanaka Watanabe managed only 8 points. Madi Alegre and Mikki Kautz, who had crucial roles in their Game 1 win, was held to a free throw and 2 points, respectively. Meanwhile, in the men’s division playoffs, No. 6 seed Casino stunned No. 3 670 Akkeri, 76-63, to join pennant champions Ol’Aces in the semifinals. Big man Paulo Sanguyo powered Casino to the victory after firing 26 points. Rico Ibag and Jake Sebastian backed him up after contributing 13 markers each. Fred Litulumar had 18 points on a losing effort for the 670 Akkeri. The men’s division playoffs will continue tonight with No. 2 670 Sonics taking on No. 7 Saints for the third semis berth, while on Monday, the No. 4 Genesis All-Stars will duel No. 5 Ol’Aces Extra with the winner completing the Final Four cast. Casino 76 — Sanguyo 26, Ibag 13, Sebastian 16, Marinas 6, Atencio 6, Book 4, Pantaleon 4, Pastolero 3. 670 Akkeri 63 — Litulumar 18, Pangelinan 11, S. Teregeyo 10, Lisua 7, Rios 5, Factor 5, D. Teregeyo 4, Arceo 2. 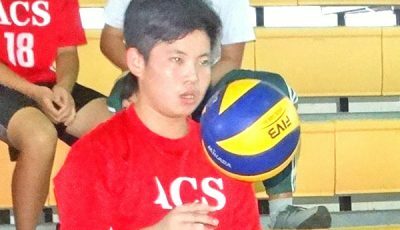 Ol’Aces 50 — Fernandez 17, E. Santos 15, A. Santos 10, Louisa 4, Hapdei 2, Villagomez 2. 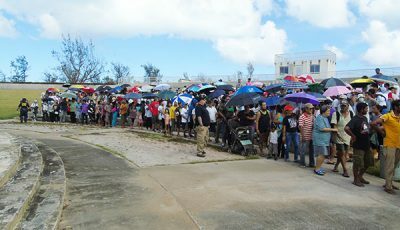 Fiesta Resort 39 — Watanabe 8, Flores 7, Travilla 6, Pablo 4, Villagomez 4, Ito 3, Kautz 2, Camacho 2, Espinosa 2, Alegre 1. Scoring by quarters: 12-5, 20-13, 38-19, 50-39.